I know, I know, you’re sooo excited about your recent engagement and your wedding – why do we have to talk about money!? Because if you don’t establish your budget up front you could end up in a real mess in a few months time. So I’ll try to make it as painless as possible but please, please, please do this before you book anything. What are you happy to spend on your wedding? Don’t feel pressured here to go for a higher budget just because someone else did. You have to be comfortable spending this money on one (albeit very special) day. As a guide, the average spend in the UK is around £27,000 (Source:The Independent). Now you absolutely don’t have to spend that much. There are lots of ways to save money which I’ll talk about in future blogs. 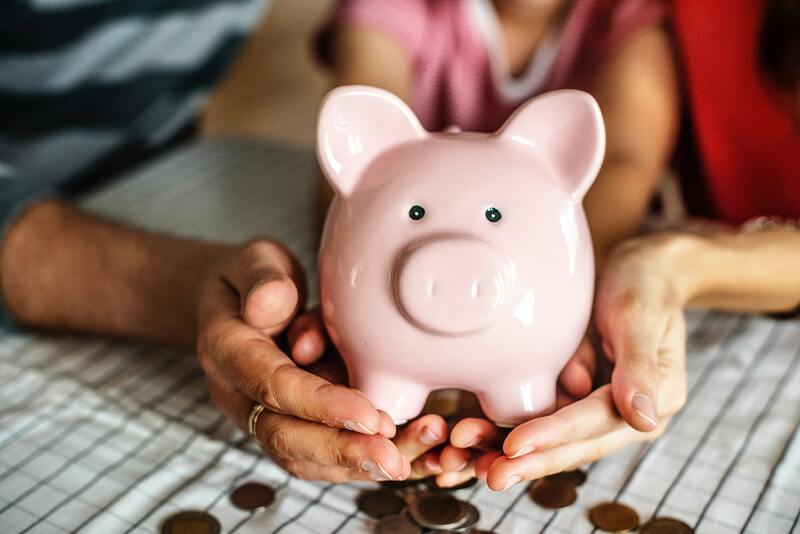 Some couples spend less than £5000 but to achieve this you’ll need to really shop around, compromise on certain things, as well as making some things yourself. Will you have any contributions from family members? If no-one has offered so far, it’s probably best to assume that you will be funding everything yourself. Traditionally, the bride’s parents paid for the wedding and the groom paid for the honeymoon. This isn’t always the case these days, many couples now pay for everything themselves or share the cost with their parents. If you’re lucky you’ll have some sort of contribution from family but this obviously depends on your family circumstances. Do you have any savings you are happy to use, will you get a loan or will you be using some of your monthly income each month to pay for things? Now, I can’t give you any financial advice so you’ll have to reach out to financial specialists if you need more help with this. Whatever you decide you both need to be comfortable with it and never overstretch yourselves. Hopefully, this will enable you to come up with a ballpark figure to start with. Now you’ve got an idea of your budget, you need to try to refine it. List out the things you will need to pay for. Try to think through every part of the day so you don’t miss anything. 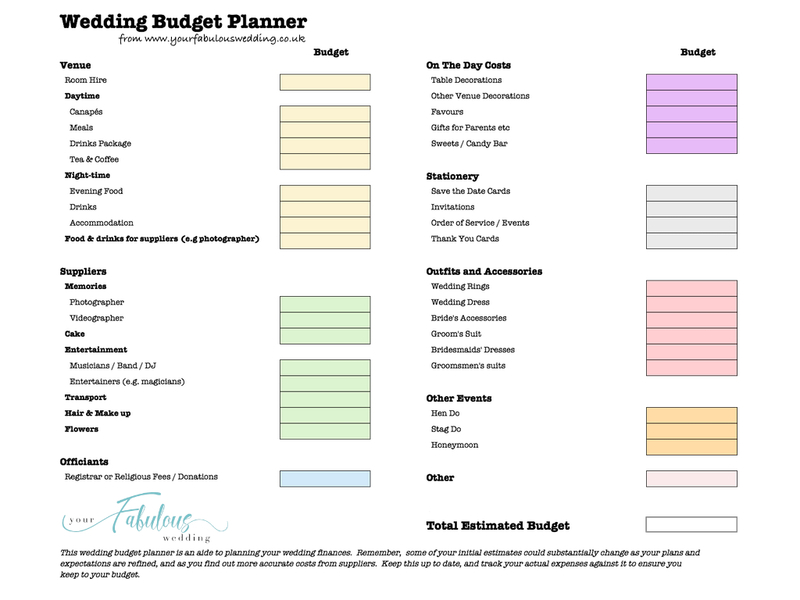 Our budget planner example below should give you a good guide for this. Next, you need to agree which elements are most important to you so you can allocate enough budget to those. There may be some items on there that you don’t want or need so make sure you only include the things you really want. There may be something else you want that I haven’t included on this planner. So take some time to work out what you really want. An ice cream van maybe? Fish and chip van or a Prosecco cart? Get some initial quotes from a number of suppliers to help to build up your understanding of what things will cost. It’s really important here to have an open honest conversation with your partner to make sure you’re in agreement about your priorities. Don’t assume that you both know what the other will want – there are often surprises here. Be realistic & honest with yourself about what you can afford. You still have to eat and pay your bills!! If it means you have to wait another year to get married, surely this is better than having no money to live on. And you absolutely shouldn’t get yourselves into a position where you’re struggling to cover your regular bills and outgoings because of your wedding spend. There are further tips here on ways to save money on your wedding. Once you’re got your initial budget in place, it’s important to keep on top of this throughout your planning. You can use a spreadsheet (doesn’t need to be a very complex one) to record and track your costs. A spreadsheet makes it easier to see your total spend and will adjust your total if you amend a cost for one item. You can also use this to record the deposits you have paid and when the balance is due. Also include the details of your suppliers so you’ve got all the info in one place. If you don’t have access to spreadsheets, you can use a notebook or you could try Google docs. They have the equivalent of spreadsheets and are free to access. Make sure you have some contingency included in your budget. Things can change and you may need some extra money to be able to invite a few more guests for example. Or your priorities may change as you get further into your planning. I know budget management isn’t the most romantic topic but it’s essential you do this early on and keep on top of it. Far better to spend the time doing this than be upset later when you realise you don’t have enough money for those shoes or that Photo Booth! I hope you’ve found this helpful & remember there are still another 2 blogs to come in this series. The next blog will be talking about what you need to do when. 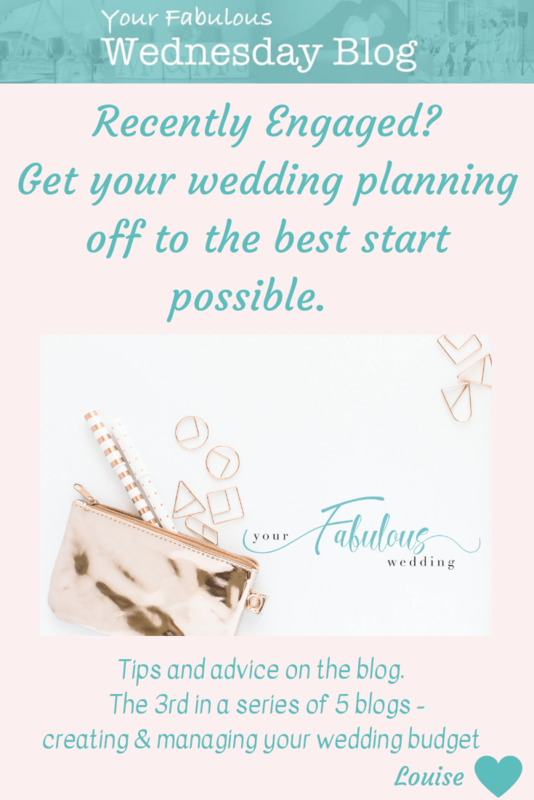 I’ll then finish the series with some key tools and tips to keep you on track through your wedding planning. 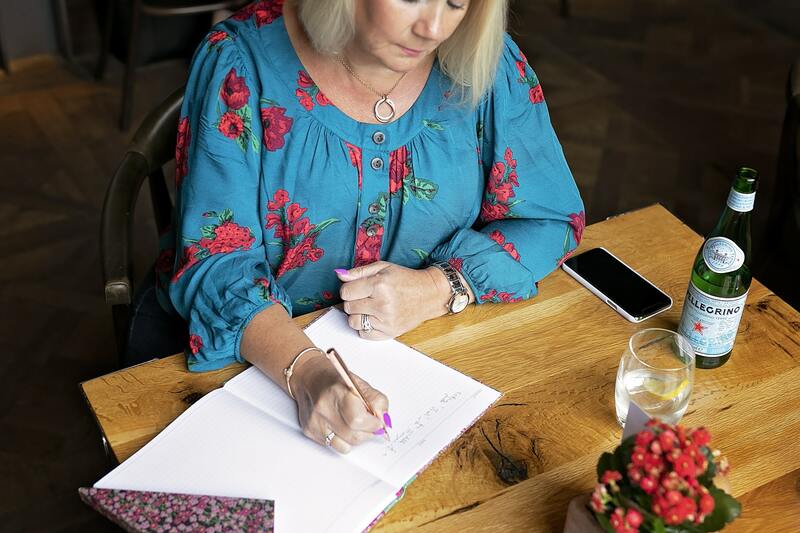 As ever, you can get in touch if you would like some one to one support and please sign up to the blog below to make sure you don’t miss future issues. And you can see details of my planning services here if you’re feeling like hiring a planner is going to be the best option for you. Absolutely – so important to prioritise your spend and keep track of it!